Here I am enjoying the warm summer evenings by doing some yoga on the lawn. 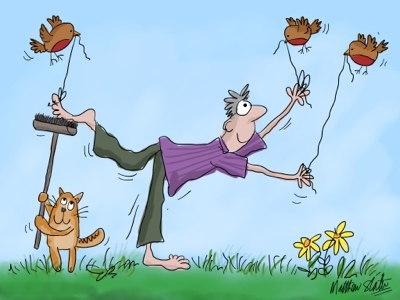 This is quite a difficult balancing posture so I am in need of a little help. 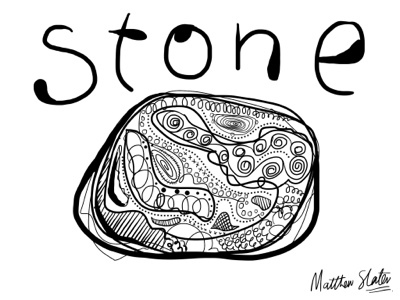 There is my stone, my soul awakening. Something that calls and draws my mind. I welcome you here and you are mine. Belonging in places that welcome prayer. 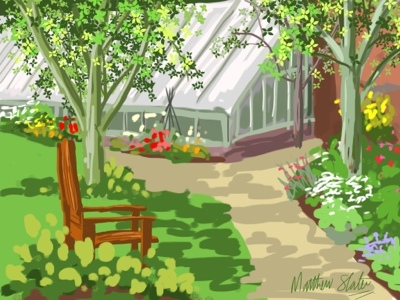 Cycled to Luton Hoo Walled Garden today for one of their open days. I had hoped to spend the day there drawing people but it was a rather low key day and visitors were rather thinly spread out. I did settle in one spot but then a rather angry bee started buzzing too close for comfort and I decided to hastily move. I managed to loose the bee after a rather brisk walk to another part of the garden. 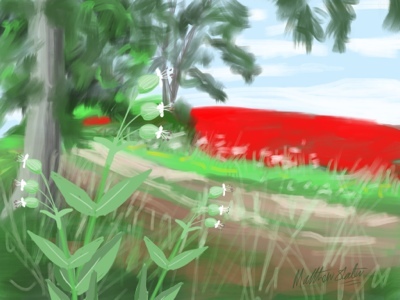 I then sat in the shade under some apple trees and sketched this on the iPad. It's a bit scrappy because the light was very bright and it was a very hot day and I was a bit annoyed at not being able to do what I had wanted to do. The garden looked in good form but I would have been better off on one of the bigger event days when it gets full of people. I work better then when surrounded with lots going on. I did fill a few pages in my sketchpad with various plants and odd bits of people as well, so I did have a good day. Apart from the bee. This field of beans above Pirton was covered in a mass of poppies and looked amazing today. I tried out a different brush that I hadn't used before and wished I hadn't. I didn't like using it. Alongside the bridleway here some bladder campion was growing and so I added this to the picture. Hogweed is well out in flower now and the mid summer flowers such as knapweed, scabious, toadflax and sainfoin are just beginning to appear along the chalky bridleway. This sketch was too complicated to get going and I got bored trying to do all the leaves so I gave up. 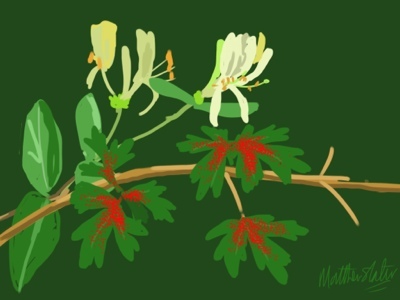 Along one of my favourite hedgerows I can across some honeysuckle which is now beginning to flower everywhere. Alongside these flowers were the branches and leaves of some field maple which were covered it the tiny red galls created by a tiny mite. When you looked at the hedgerow it looked as though someone had just sprayed red paint over all the maple leaves in this one particular location. Today was probably the hottest day of the year and I enjoyed a leisurely cycle ride to Hitchin. Having been thoroughly tortured by my physiotherapist yesterday I struggled to do anything that didn't involve freewheeling! 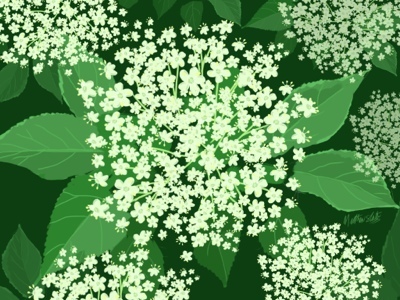 Elderflowers are probably at their best now and these flowers smelt gorgeous. They can be eaten straight off the plant but it seemed a shame to pick them so I didn't. I found these along a shady bridleway and in one of my favourite hedges. 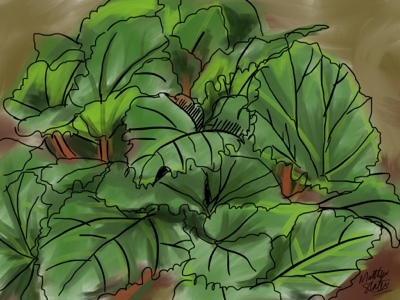 Just a quick sketch of some rhubarb on the allotments. Potatoes and parsnips seem to be thriving on my allotment. Sweetcorn, onions and garlic seem to be doing alright. Tomatoes and courgettes look poor but will probably pick up in the anticipated forthcoming heat wave. Busy packing up the house in preparation for moving.